That’s what the sweet, elderly gentleman at The Ronald McDonald House asked families as they stumbled into the cafeteria for their morning cups of coffee. There was something about his phrase – the cadence with which it was delivered, the smile that accompanied it, or maybe– as a recipient of the question – the ease with which it landed on my heart. His question didn’t carry with it the sting of vulnerability that could potentially accompany such conversations; it was laced only with the genuine concern of one human being for another. For us, it was extreme prematurity that had brought us to The Ronald McDonald House. Our boys had been born 14 weeks early, after an abruption at only 26 weeks gestation. To be honest, it’s been a challenge ever since. It was a challenge when, on Day 3, they told us that O’s hydrocephalus was significant, and he might not make it through the day. It was a challenge when we emergently baptized our son, and prepared our hearts for what we thought was goodbye. It was a challenge when his twin brother developed pneumonia, and we had to emergently baptize him too. It was a challenge when I quit my job to keep up with our “new normal” – the merry-go-round of doctor’s appointments, home visits, and therapy sessions. It was a challenge every time C pulled out his feeding tube in the middle of the night, and I had to steel my resolve to put it back in myself. It’s still a challenge each time we watch the surgeons wheel away one of our boys – it’s been once now for C, and 7 times for O – due to complications that might not exist, had they never been micropreemies. It is a challenge to see the stares, gawks, and side-eyed looks O gets when we all go out in public, and to think of the day when his twin brother will also recognize their physical differences. It’s been a challenge to balance the needs of two very different toddlers, both of whom deserve all of me. 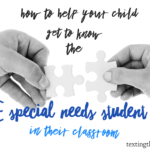 It is a challenge to know that the rest of my life will be like this – a challenge – for when we start to get comfortable with this whole special needs parenting thing, things are most certainly about to change. Children outgrow equipment, stop taking naps, need more therapy in one area or another, develop new behaviors, and sensory issues become problematic once you’re big and strong enough to hurt someone. It’s a challenge to find me, in the midst of taking care of everyone else. I’m blessed to be reading a book with my mom’s group at church by author Jennifer Fulwiler, entitled One Beautiful Dream. Parenting, for my husband and I, has always been a dream. 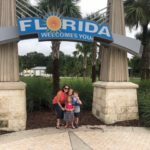 For as long as I can remember, I’ve felt the pull toward motherhood– even when we struggled with infertility on the journey to become parents, I just knew that it was meant to be. That’s the thing about dreams – God knows what we need even more than we know it ourselves. In the midst of our journey to start a family, I asked my husband if he would be ok parenting a child with special needs. For whatever reason, my gut instinct told me He might be delaying our parenting journey because He was preparing our hearts for something bigger. I’ve never been one to guess correctly on things like gender reveals, but with our own boys my gut instincts just so happened to be right… every.single.time. Even so, knowing that your challenge is a part of God’s plan for your life doesn’t make the living of it any easier. It’s a constant #workinprogress. That’s where your blue flame comes in. In One Beautiful Dream, Jennifer Fulwiler calls the “blue flame” that “passion that ignites a fire within you when you do it (24).” It’s what energizes your soul, no matter the work, and God is in control of the flame. Because of our challenges, God has nudged me from one #blueflame (teaching) to another (writing). I have loved to write since I was a little girl, but those dreams were smothered under time consumed by a million other things. He’s put people in my life and opportunities into my path that I never would have experienced otherwise, had motherhood not dramatically altered my personal trajectory. Because of our challenges, I’ve been able to apply the organizational skills I once used in teaching to helping me navigate a sea of insurance phone calls, diagnostic research, and medical equipment. I am able to adapt everyday activities to meet my son’s needs, and I have the grit to keep trying when the first 500 attempts fail. Because of our challenges, I’ve met doctors, specialists, therapists, and families who have forever changed me. Because of our challenges, I know that saying goodbye to teaching was not “farewell forever,” but rather, “until we meet again,” and that I will be a far better educator one day because of all we’ve been through. Because of our challenges, my #blueflames have been reignited, and I’ve discovered a few new flames that I didn’t even know I had. 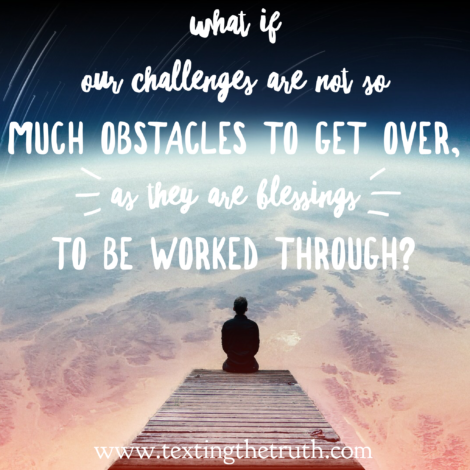 What if our challenges are not so much obstacles to get over, as they are blessings to be worked through? What if God uses purposeful challenges to fuel our “blue flames,” and, in so doing, helps us craft our passions in a manner that leads us back to Him? “What’s your challenge” is a question that everyone can relate to, because everybody has one. Sometimes our challenges overlap with the people we’re meant to encounter. Sometimes they make us feel broken, and sometimes our blue flames remind us that everything is going to work out – one way or another. On Tuesday, O will be having his 8th surgery in 3 years. Some challenges come in big, obvious, in-your-face circumstances. Other challenges creep in, nag, or come disguised in little packages. Either way, the struggle to unwrap it won’t ever compare to the gift inside – one that’s certainly worth the keeping. And more importantly, what are you doing with it? Get a fresh piece of paper. Make 2 columns. Label one, “My Passions” or “My Blue Flames,” and the other, “My Challenges”. Once you’ve finished brainstorming, look for places where the columns might overlap. How can you use what fuels your inner fire to conquer the challenges He’s given you? Try this mental exercise: Every time you find yourself feeling frustrated, down, or confused about a challenge He’s laid before you, pray about it. Thank Him for the challenge, and ask for patience and an open heart/mind on the journey. Check out our favorite devotionals/books for personal growth here.